I was so pleasantly surprised!! There was so much to see! There is a quaint little community, restored by the Church of Jesus Christ of Latter-day Saints, that looks just the way it did in the 1800’s. There are little old shops to tour, homes, a mill, and several other small buildings. The grounds were beautiful and clean with flowers everywhere. 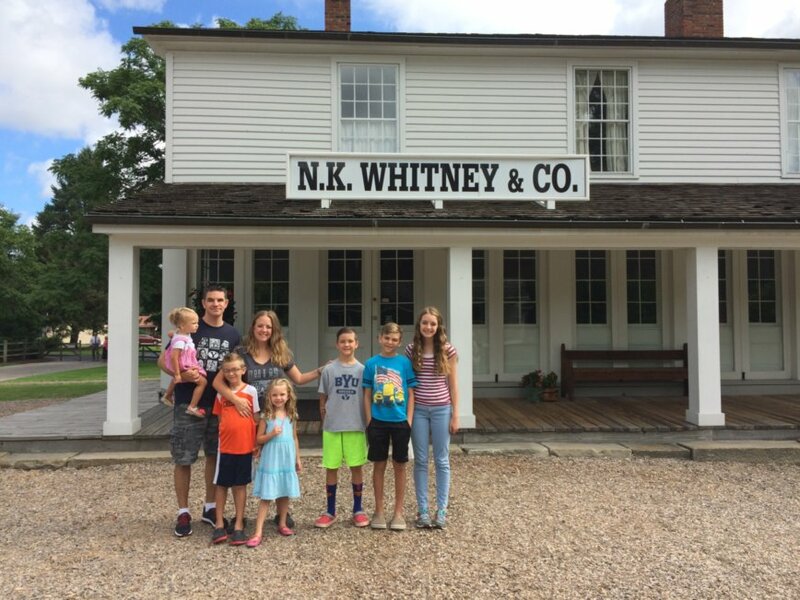 My favorite was the Newel K Whitney Store. There is a special spirit about that charming place. It is said there was a school for prophets in one of the upstairs rooms where they saw the Lord Jesus Christ. I had such a wonderful feeling being in there. I have ancestors that used to live in the town, and it was so neat in the store, you can go through the tab at the store to see what items they bought and how much they paid for them. It’s amazing to me they still have those records. My kids enjoyed going to the mill to see how they used to saw the wood and make all different kinds of things. They have a little creek that flows through the area and I think the highlight of the day was spotting a beaver. We picnicked overlooking it, and there was lots of entertainment from the wild life there. The picnic tables are right across the parking lot from the visitors center, which was very convenient for the kids to be near a clean restroom. After we spent time in the little village, we drove a little ways to where the rebuilt Kirtland Temple stands. It’s owned by the Community of Christ, and there is a fee to get in. But it was worth it to go in and see the old building. We spent a few minutes in the graveyard outside afterwards and found some of our ancestors buried there. After so much action, the kids were ready for some snooze in the car. Niagra Falls wasn’t too far out of our way- so how could we resist not stopping there, too??! 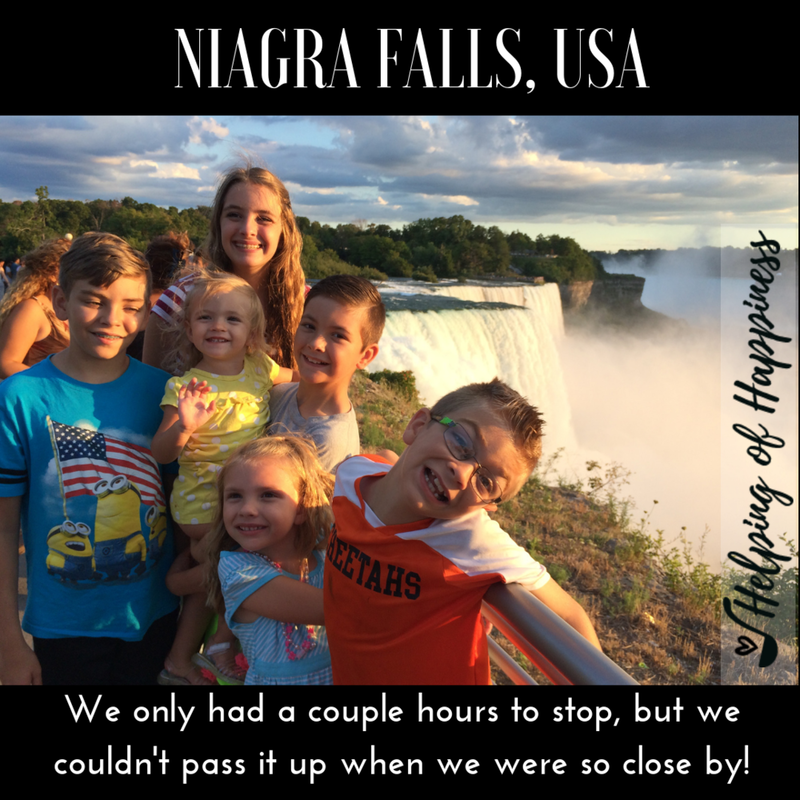 I wish we would’ve known the kids didn’t need passports, otherwise we definitely would have crossed over to the Canada side. But isn’t it beautiful?! It was totally worth the extra time in the car for such an amazing site. I wish we would’ve had a day there as well.